EARLY '70S RADIO: Casablanca Records and the "New Bubblegum"
Casablanca Records and the "New Bubblegum"
What I especially appreciate about Larry Harris's recent book And Party Every Day: The Inside Story of Casablanca Records is that it offers a human relations perspective on a label that still epitomizes carefree '70s hedonism and excess. 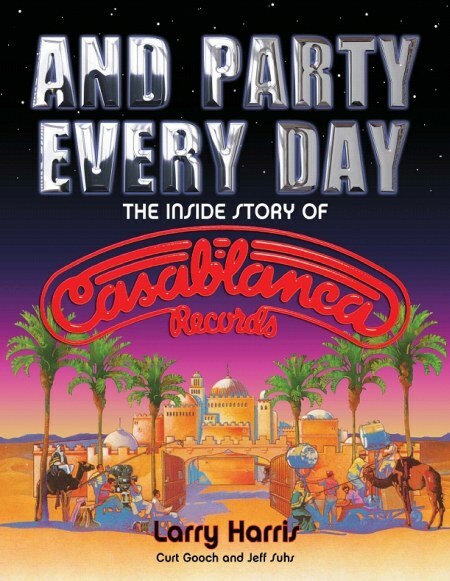 Harris (former Executive VP and Managing Director of the label) knew and loved Casablanca head Neil Bogart, but also regretted a good many of his tactics and decisions. The label, after all, was notorious for its willingness, as Art Kass puts it in Fredric Dannen 's Hit Men (1991), to spend "three dollars to make two dollars." I suspect those familiar with some of the stories in Hit Men and elsewhere will be disappointed with the low volume of additional shockers offered up by Harris, whose purpose is not so much to top or refute familiar tales, but to offer some insight into the thought processes of those in charge. I, for one, loved reading about all the radio promo Harris was involved in, working his contacts at WBCN in Boston, WSHE in St. Louis, WNEW in New York, and WMMS in Cleveland, to name only a few. Harris also takes Dannen's revelations concerning the pop-chart doctoring activity of Billboard chart editor Bill Wardlow a step further in a chapter titled "Writing the Charts" - the title of which is evidently no exaggeration. 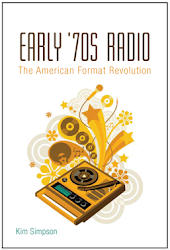 In Early '70s Radio, I talk about Neil Bogart as one of the key cultivators of the preteen market in the late '60s, which developed into something formidable in the early '70s. He coined the term "bubblegum" for the double entendre-prone genre that flourished under his watch. The preteen market-on-steroids nature of Casablanca in the late '70s, for which the word "transgressive" might apply, was at once an innovation of Bogart's and a natural result of broader, post-sexual revolution cultural forces. Kids loved Kiss, Donna Summer, and the Village People, and observant adults knew that all three trafficked openly in sexual connotations. This was "the new bubblegum," a term Harris uses for another chapter title. I was curious, incidentally, when I got my hands on the book, to see if I could learn more about Dannen's report in Hit Men about an "adorable little girl" who would make daily rounds in the Casablanca offices to take drug orders, which kinda strikes me as child exploitation to the utmost. Harris claims, though, that this story was probably a cover up fabricated by Dannen's source, Danny Davis. The drug runner, says Harris, was likely an adorable little boy.